Second Valley update | Marine Life Society of South Australia Inc. 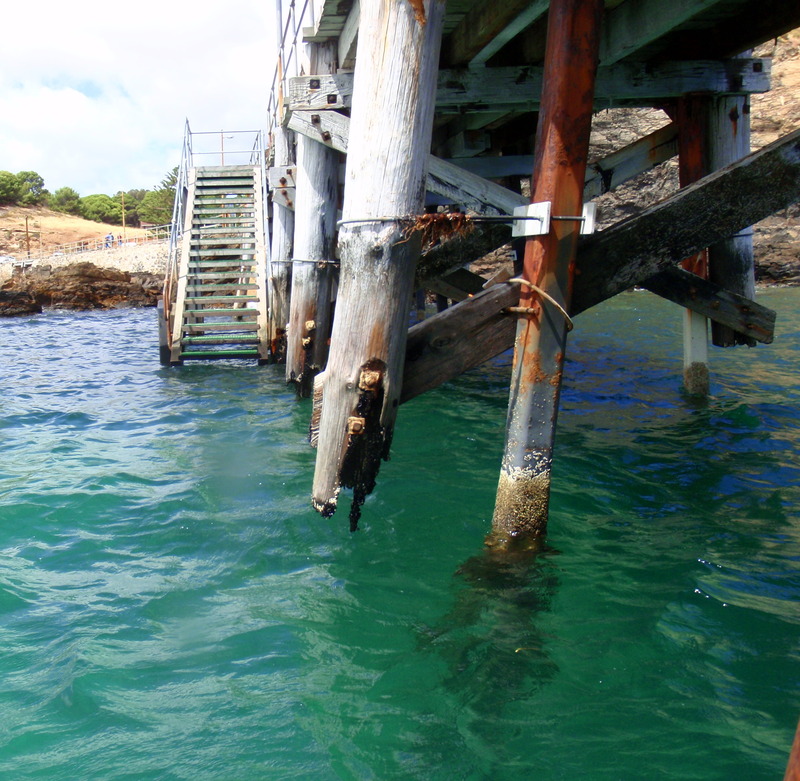 There is a spearfishing restriction at “Second Valley Bay”. It has been in place for over 23 years now. The restriction is listed in the “South Australian Recreational Fishing Guide” under “General Fishing Information/Fish Spear/Hand Spear/Powerheads”. It is also listed at http://pir.sa.gov.au/fishing/fishing_gear/permitted_devices . 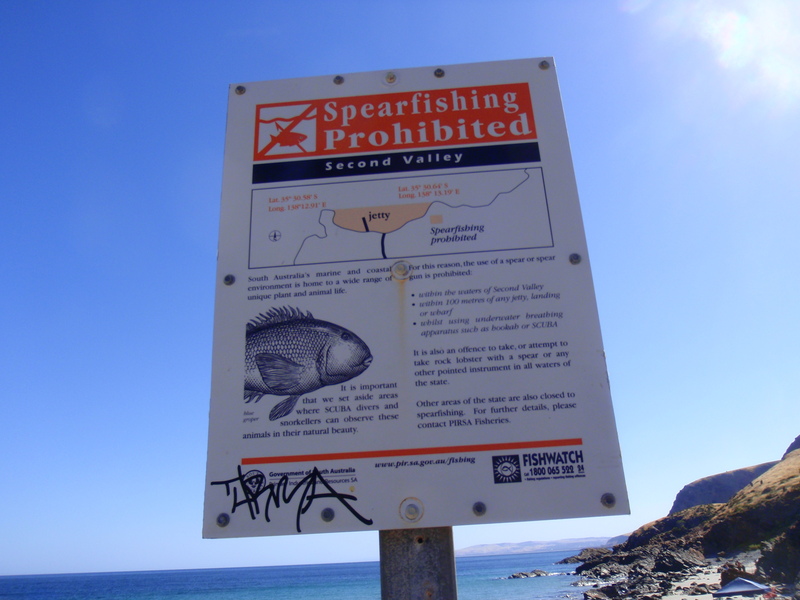 As I wrote in my blog , “A spearfishing ban at Second Valley was proclaimed in March 1992. Page 16 of the 2008 (& 2010) “SA Recreational Fishing Guide” says “Spearfishing . . . is not permitted . . . in the waters of Second Valley Bay”. • hooks with a shank length greater than 56mm and a gape greater than 23mm. • from the southernmost breakwater at Outer Harbor to Yankalilla Bay. The Marine Life Society of SA believes that the legislation under the Fisheries Management (General) Regulations 2007 prohibiting targeted shark fishing from metropolitan jetties and beaches doesn’t go far enough regarding community concerns about swimmer safety. Both Second Valley and Rapid Bay are just outside of the southernmost boundary for the shark fishing restrictions (Lady Bay at Normanville). Second Valley beach is one of the most popular beaches in SA. The bay there is very popular with families for kayaking, snorkelling & diving. Rapid Bay is similarly popular. We have photographic evidence of a 2m-long dead bronze whaler shark being left on rocks at Second Valley during the January holidays. 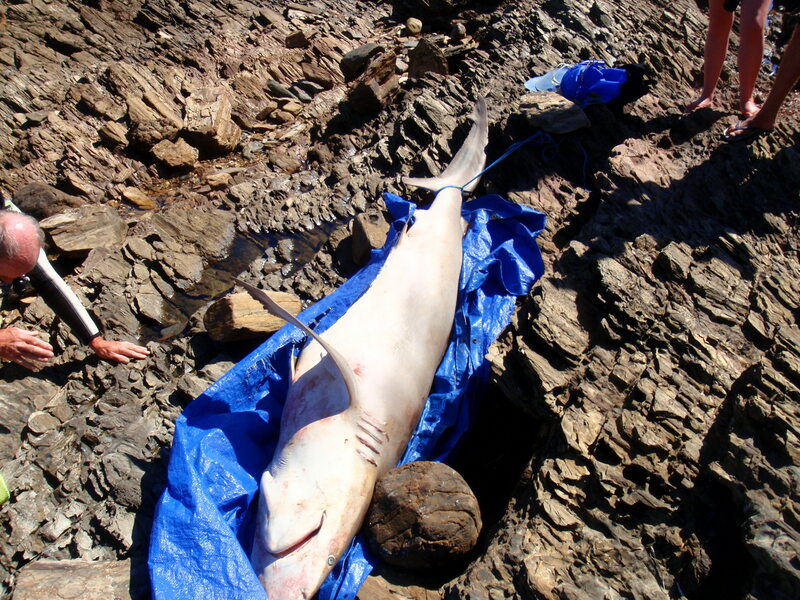 It seems that a fisherman had left the shark on a tarpaulin and tied it to rocks. The shark would have been in the water at high tide. It probably would have attracted more sharks to the area. Fishing for sharks at both Second Valley & Rapid Bay has an adverse effect on beachgoers and is of some concern regarding the safety of swimmers. We therefore ask if the restricted area for daytime shark fishing can be extended to Rapid Head. Thank you for your recent email requesting an extension to the prohibited area for shark fishing from the Lady Bay shacks to Rapid Head. Following public concerns about shark fishing from metropolitan waters, and after extensive consultation with local government, coastal organisations, the Fisheries Council of South Australia, shark behavioural experts and RecFishSA, I understand the “Fisheries Management (General) Regulations 2007” were amended in 2013. The amendments prohibit the use of wire trace, thick monofilament trace and large fish hooks to take fish from 5:00am until 9:00pm between the southern Outer Harbor breakwater and the Lady Bay shacks, 4km south of the Normanville jetty. These arrangements aim to strike a balance between recreational fishing and the interaction with other beach activities. Existing regulations in place prohibit the use of blood, bone, meat, offal or skin of an animal as berley within two nautical miles of the mainland, or any island, or reef, exposed at low water mark. It is also illegal to take fish using fishing gear consisting of a wire trace of 2mm in conjunction with size 12/0 or greater fishing hooks in all state waters at any time. With the exception of the one bronze whaler shark recently found on the rocks at Second Valley, there does not appear to be any evidence suggesting an increase in shark fishing in the waters from the Lady Bay shacks to Rapid Head in the past two years. The Department of Primary Industries and Regions SA (PIRSA) has not received any reports of illegal berleying in this area in recent times. Accordingly, an extension to the prohibition area to Rapid Head is not considered necessary by PIRSA at this time. If you have any additional information to support an increase (?) in shark fishing in the zone beyond Lady Bay please contact PIRSA. If you notice someone using blood, bone, meat, offal or skin of an animal as berley, I urge you to report this illegal fishing activity to Fishwatch on telephone 1800 065 522, or via the South Australian Recreational Fishing Guide smartphone app available for free download. If you have any further questions on this matter, please contact Dr Lianos Triantafillos, PIRSA Fisheries Manager on telephone (08) 8226 2065 or via email (at) lianos.triantafillos@sa.gov.au . Thank you for writing to me on this matter. We certainly weren’t looking to support an increase in shark fishing in the zone beyond Lady Bay! Remember, if you do notice someone using blood, bone, meat, offal or skin of an animal as berley within two nautical miles of the mainland, or any island, or reef, exposed at low water mark, either report it to Fishwatch (1800 065 522) or via the South Australian Recreational Fishing Guide smartphone app. Ditto if you see someone using fishing gear consisting of a wire trace of 2mm in conjunction with size 12/0 or greater fishing hooks in all state waters at any time. Ditto if you see someone using wire trace, thick monofilament trace and large fish hooks to take fish from 5:00am until 9:00pm between the southern Outer Harbor breakwater and the Lady Bay shacks (4km south of the Normanville jetty). 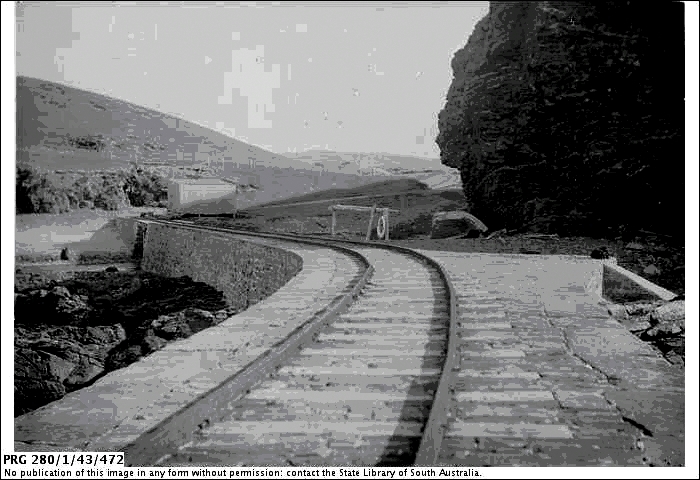 It shows the rail tracks running from the car park area to the jetty. In 2011, I was quite interested in the large shed in the above photograph. It was apparently situated between the car park and the cutting (to allow the flow of the Parananacooka River through the causeway). I was also interested in these couple of stumps that I found between the river and the start of the jetty, about that time (2011). This year (2015), I was able to purchase a copy of Ron Blum’s book titled “Second Valley – Sawmills, Holidays and Boat Sheds” from the Second Valley Jetty Store* (kiosk). The book provided me with a good deal of information regarding Second Valley, including the large shed and a clue as to the origins of the two stumps. * (See http://www.svcp.com.au/ and https://www.facebook.com/secondvalleycaravanparkjettystore?fref=ts . A photo on page 2 of Ron’s book shows the large shed as being located at the corner where the car park meets the causeway to the jetty. It was taken in 1934. The caption accompanying the photo says that the building is a goods shed for the housing of items for shipment. There is a small toilet block close to the shed. Photos of the goods shed also appear on pages 19, 22, 23, 30 & 31 of the book. As for the two stumps found between the river and the start of the jetty, one of the photos on page 23 of Ron’s book shows three boats adjacent to a shelter located in the vicinity of the stumps. This photo was taken about 1935. 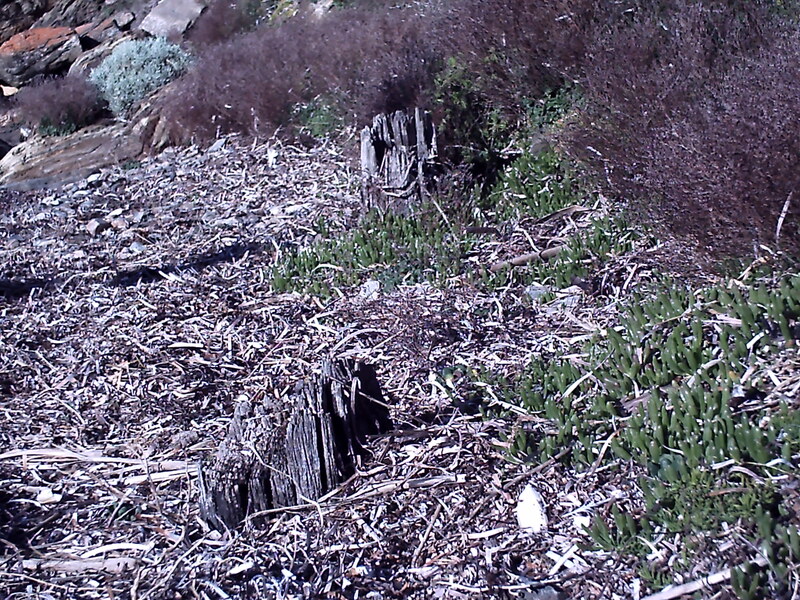 It would appear that the two stumps are remains from the old shelter. There is another photo of the shelter at the bottom of page 23 in the book. This photo was taken in 1954. The caption for the photo suggests that the shelter is simply a sun shelter. It also features in a photo on page 31 of the book, taken in 1937 this time. The goods shed had, however, disappeared in the 1954 photo on page 23. We can verify from the above-mentioned photos that the goods shed was there at least from 1904 to 1937 and the sun shelter from at least 1935 to 1954. My 2011 Journal article “The Various ‘Jetties’ at Second Valley” discussed the wooden cutter O.G. which was driven on to rocks at Second Valley in May 1954. She apparently struck rocks at Poole’s Flat, which was an unknown location to me. I have now discovered that Poole’s Flat is said to be Wirrina, and it is said to be located 1½ miles south of Little Gorge and about 2½ miles north of Second Valley jetty (in the old measure). The Second Valley jetty is heritage listed and only ‘heritage type’ materials can be used on the jetty. 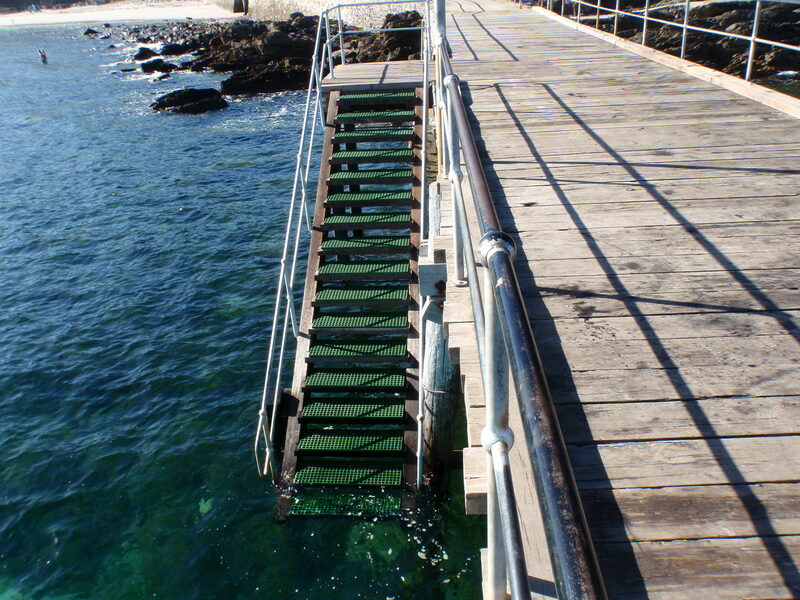 My 2011 Journal article “The Various ‘Jetties’ at Second Valley” mentioned that once some new steps have been rebuilt, the ‘temporary’ new ladder may be removed to maintain the heritage structure of the jetty. 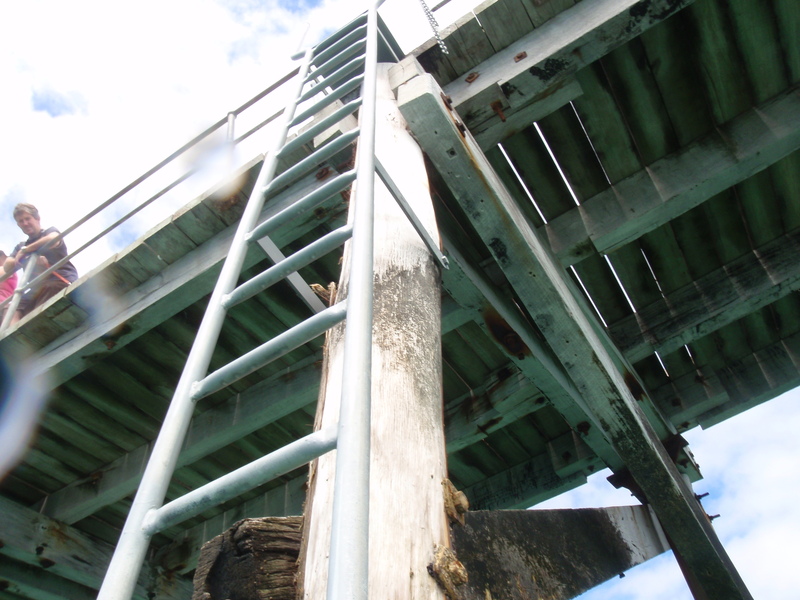 At the time of writing (July 2015), however, the ‘temporary’ new ladder is still there. Society member Cher McGrath says, “I grew up at Second Valley & we used to walk around to Poole’s Flat very often (in the 60s), or take a boat around there. Before Wirrina was built, Poole’s Flat was a gorgeous beach & there was a bit of surf occasionally. And usually there were lots of dolphins fooling around in the surf. We also found caves above the water line, & had heard stories about old burial sites in the area. My sister & I paddle around there now & still see lots of dolphins. Now that’s what I needed to hear! What do you have in mind Des? I’m very aware that he and his equally pro conservationist spouse, who live in my local council area, have been very, very busy with multiple mostly local projects (catchment care, beach erosion, indigenous site recognition to name a few ). So you Des understandably may need more time to respond to Steve ‘s latest question but I’m with you on that spearfishing issue so if possible please include me in future discussion by email or phone. I can probably help in several ways. Thank you David for you support on a spear fishing ban at Second Valley. I am also would like to see protection given to the Little Gorge Beach as the Yankalilla Council has just recinded the non development status by which would have seen the boat shed and shack removed and the beach returned to its natual state. I must add that 4 councilors voted to reinstate the non development status at the last meeting but the motion was lost. The Lttle Gorge Beach is a place of aboriginal significance as it contains the hidden spring and the Kongeratie Cave. It is also part of the Place of Fallen Bits where Tjirbrukie’s body started to break, you can see this in the cliffs and the large rocks on the shore line and is also part of the Tjilbruke Dreaming story/songline line along the coast of the Fleurieu Peninsula.